DeLaney & DeLaney frequently teams up with other law firms in cases where our attorneys' particular expertise and experience benefit the client. 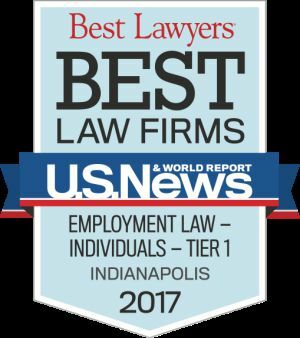 We work with attorneys from down the street, around the state of Indiana, and out of state. We collaborate with lawyers who do trial work and with those who prefer not to do trial work. We handle appeals of matters handled by other law firms at the trial level who engage with us as co-counsel for appeal. We welcome local counsel, co-counsel, trial counsel, and appelate counsel engagements. Other lawyers and law firms can rely on us to do good work for their clients on individual cases while expecting existing attorney- client relationships. Our attorneys have served some of America's largest corporations from many different business sectors as outside litigation counsel. We have successfully built long-standing relationships with corporate counsel from around the nation. Our attorneys recognize our obligation to minimize the transaction cost on each legal matter. We work to control costs for our clients by, among other things, operating our firm with a lean overhead structure. We understand the needs and desires of in house attorneys and we value opportunities to work with them as a team. We view our relationships with corporate counsel as collaborative partnerships. We understand the time demands and budgetary pressures which corporate counsel face. We listen actively to the business objectives of corporate counsel and tailor our representations to meet their needs. We work collaboratively, consulting corporate counsel as appropriate and always keeping them informed in a timely manner. We aim to achieve success as defined by the client. As a certified Women’s Business Enterprise (WBE), our firm partners with corporate counsel to achieve supplier diversity goals. 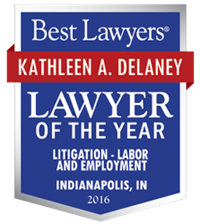 As a smaller, niche supplier of legal services, DeLaney & DeLaney leverages competitive advantages for the benefit of corporate clients. As outside counsel, we are willing to work with your corporation and in-house lawyers by providing prompt and responsive assistance. 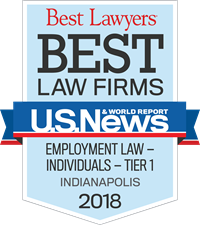 Whether it is as lead counsel, serving a supporting role, or being part of a team with outside counsel from other firms, we look forward to working with you. DeLaney & DeLaney welcomes referrals from colleagues in the legal community. Referrals from other attorneys comprise the bulk of our practice. We often work with clients whose matters come to us on referral when their regular law firms have a direct or positional conflict on a particular matter. In other situations, clients find us with the help of a lawyer whose expertise does not match the demands of the particular client matter. When you have a client, professional contact, family member, or friend who needs legal services that you are unable to provide, due to conflicts or other reasons, we will leverage our expertise for the benefit of the client and provide excellent service.